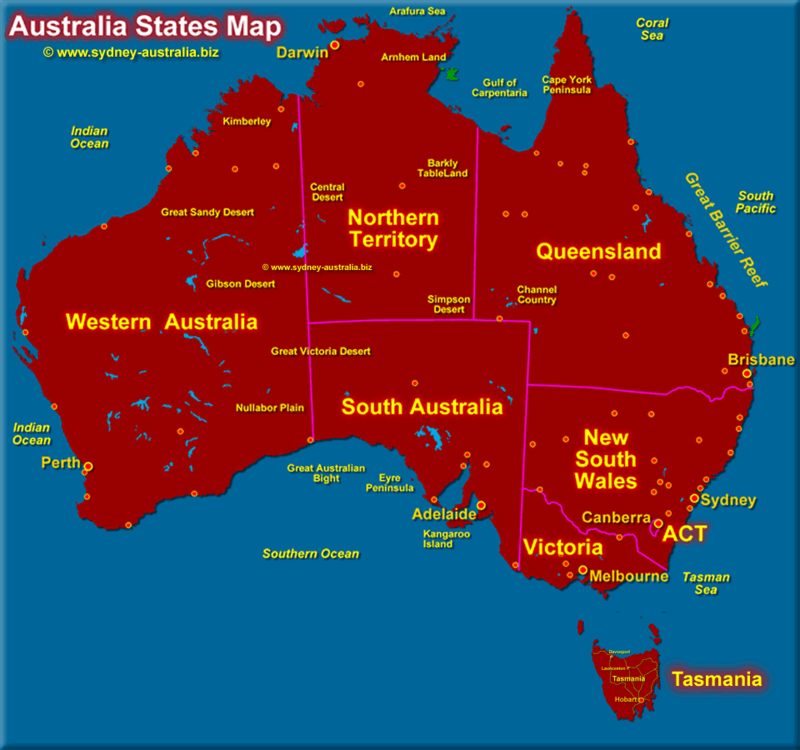 Tourist Map of Australia - showing state boundaries. Western Australia is by far the largest state in Australia, the Tasmania map, due south of the south-east of the continent can be seen here Tasmania Map. Queensland, called the Sunshine State, has Brisbane, Cairns, the Gold Coast, the Barrier Reef and the Whitsunday Islands. 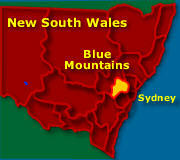 New South Wales, referred to as the Premier State, has Sydney, the Blue Mountains, the Hunter Valley, the South Coast and other great places to visit. The Northern Territory NT, has Darwin, a number of stunning National Parks and Outback desert adventure. Victoria, the most compact state has Melbourne, voted the no.1 place to live internationally for a number of years. See more about Australia - Tourist Guide. On the map of the Australian continent, desert areas shown include the Gibson, the Simpson Desert, the Great Sandy Desert and the Nullarbor Plains. If planning to drive through remote areas, it is important to obtain quality local advice before proceeding. Major lakes on the Australian continent (some seasonally dry) are shown in blue.